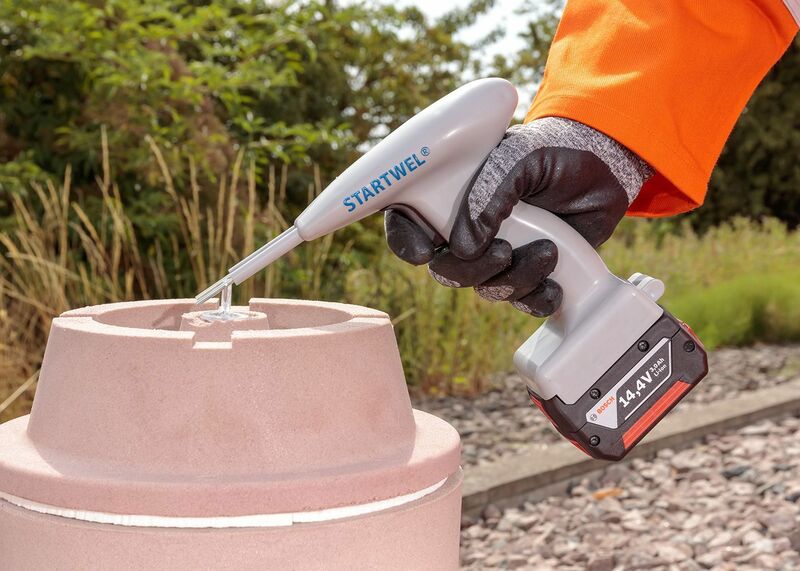 The Startwel® Ignition System allows the welder to easily ignite the weld charge to initiate the pour process of the Pandrol aluminothermic process, replacing the traditional “sparkler” igniter design. The ignition system is engineered to fit precisely into the round opening in the lid of the Pandrol Crucible. 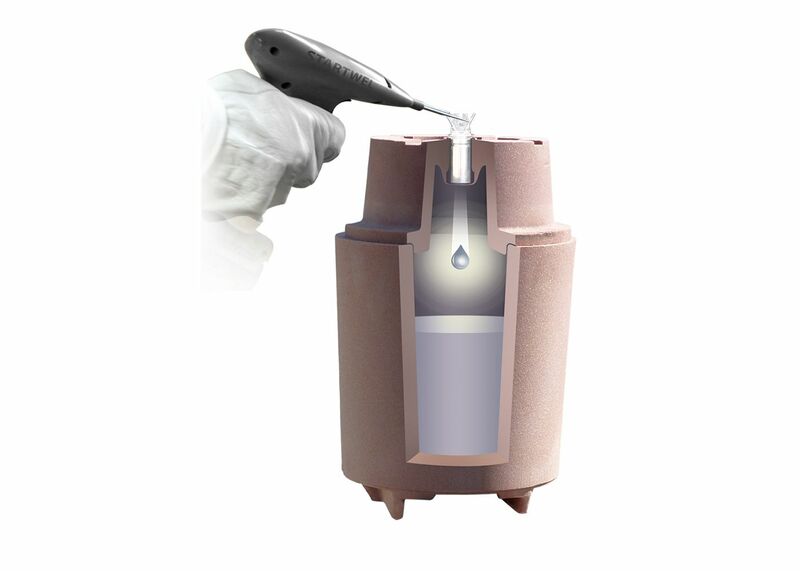 Once the crucible is prepped and ready to pour, the Startwel® Ignition System can be placed in the lid and deployed safely by removing the metal clip grounding the prongs. Battery and battery charger may differ from one pictured.